Never turn the Dial Anti Clockwise. It will damage the timer. Always line the pointer with the time. Not The fingers. Always follow the direction of the arrow. 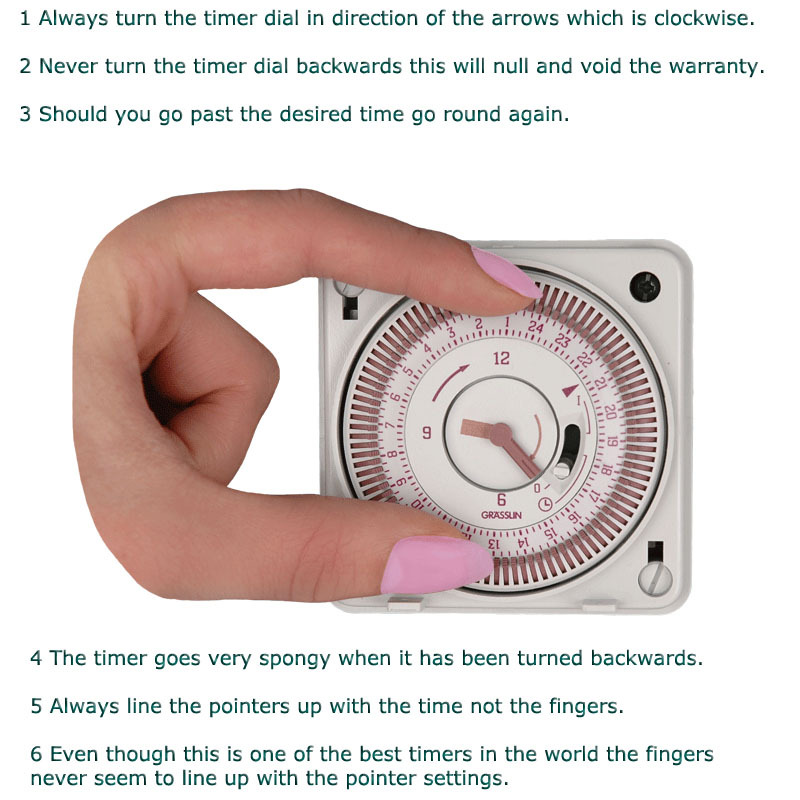 Setting the timer is straight forward. 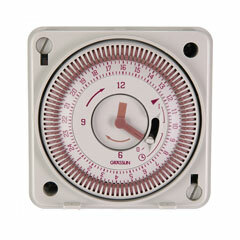 Plug the timer in set it to the correct time. Every segment represents 15 Minutes. Always replace cover keep dust out. Override switch set to bottom position is off, set to middle position is on according to preset times, set to top position is permanently on.